We had the chance to catch up with one of our beautiful brides whose wedding we photographed this fall near Denver, Colorado. 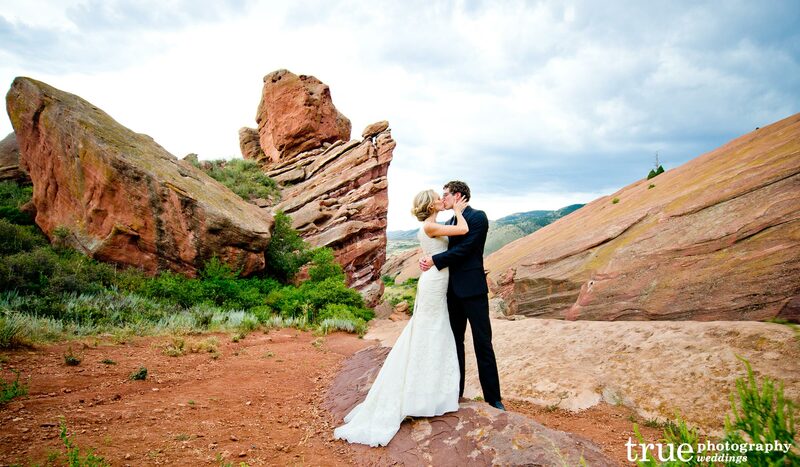 Kristin and her husband Ryan met in the mountains of Colorado, so a wedding tucked away at a private mountain retreat was the ideal place for this couple to tie the knot. 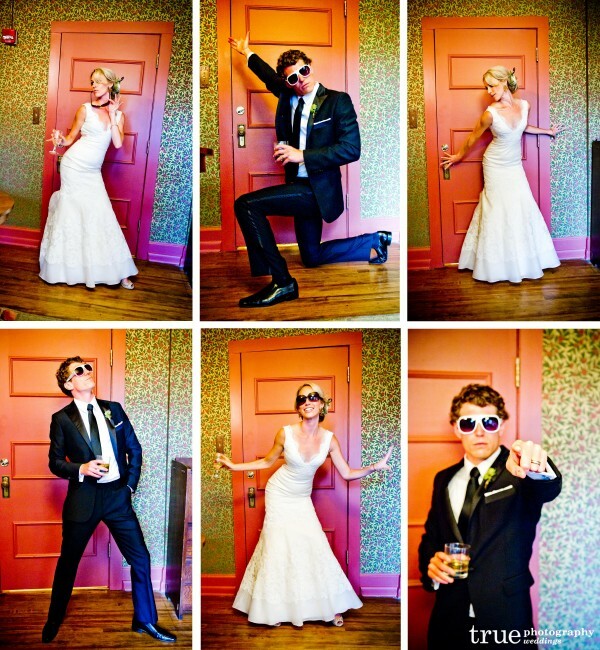 Even though the couple now lives in Philadelphia, they look back with fond memories of their chic celebration! 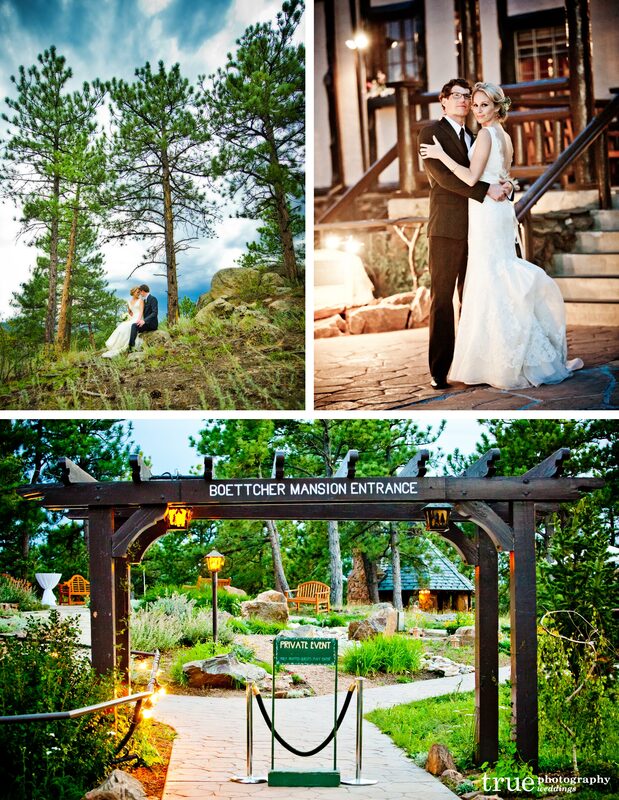 It actually took me a year to choose Boettcher Mansion as our venue. 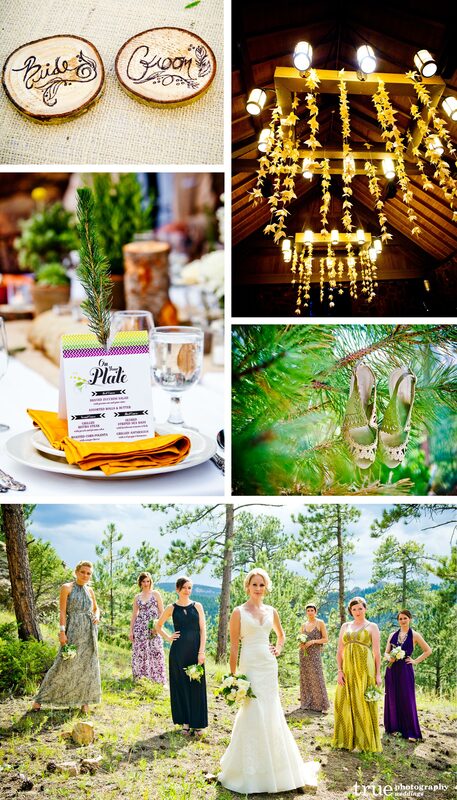 We wanted to do a small mountain wedding in a rented home, but our families’ guest lists ended up prohibiting that! So finding the same type of feeling with enough room was a huge challenge. To complicate things, I was searching from Philadelphia, and only got to check out venues when I flew home. Boettcher is one of those places that you really don’t get a feel for until you’re standing on the property. As soon as we walked through the archway at the entrance, I loved it. 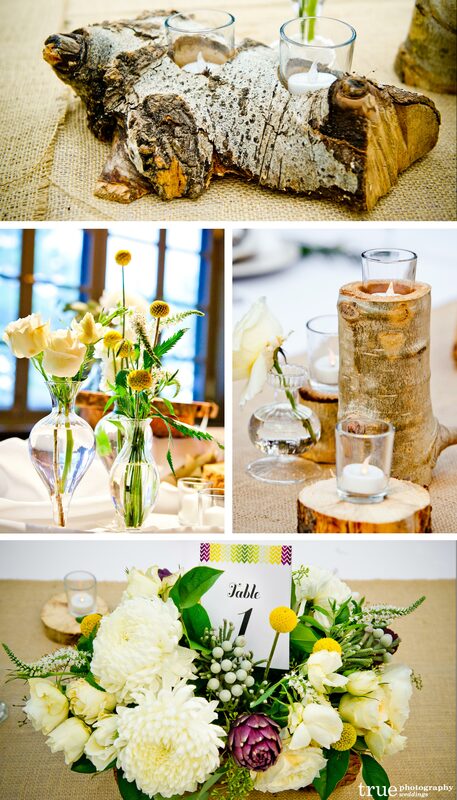 We were going for rustic elegance with a bohemian flair… if that makes sense! 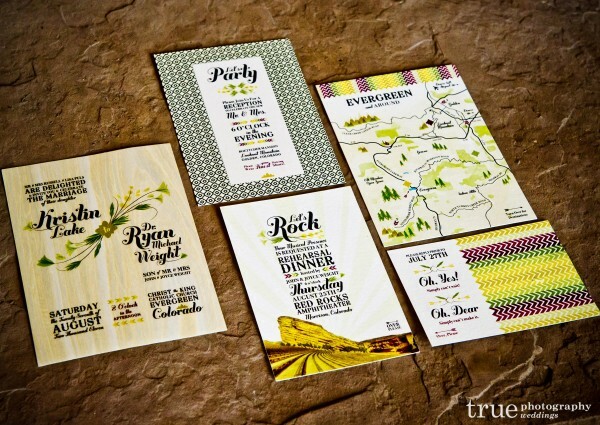 As a designer in the wedding industry, I was overly aware of all the trends out there. I knew what I did not want. But every day I found new ideas and trends that I loved. It was hard to stay focused on what represented us and not just what was cool. Ryan and I met running ski trips in the mountains of Colorado, so in the end I knew I had to stay true to the environment because that was the most meaningful element. I am incredibly lucky to have a lot of creative people in my life! Ryan is an audiophile and a very talented guitar player, and I wanted elements in the party that represented him. I also wanted a cool alternative to the traditional guestbook. That’s where the guitar and canvases come in. 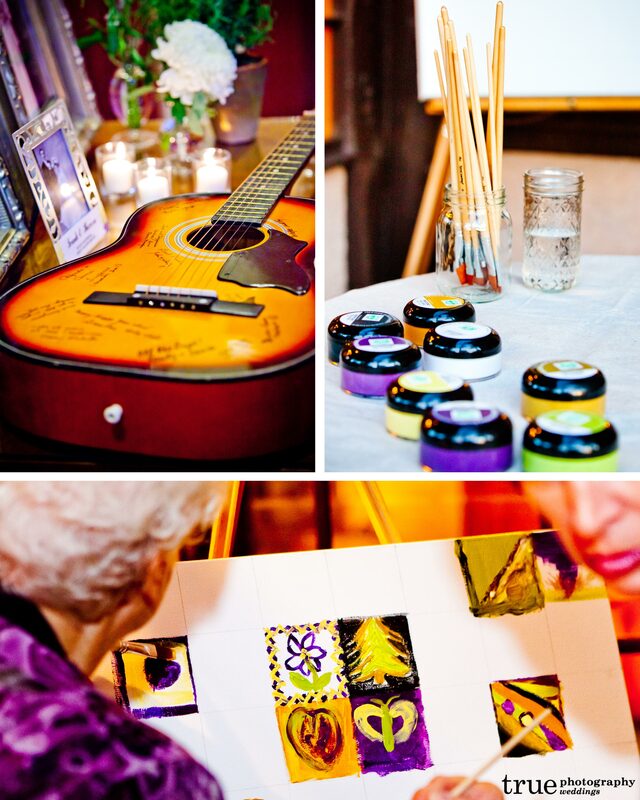 We found a cool acoustic on Craigslist for people to autograph, and I set up canvases for guests to paint on. The guitar is awesome. The end vision is to hang the canvases and guitar together on a wall in our upstairs studio. The lightning shots in the meadow rock! Standing in the open with a metal umbrella was a little scary while that thunderstorm rolled in. But NOBODY has a wedding picture like that. It was worth the risk of electrocution! Haha! My father is incredibly handy – he’s a carpenter in his free time. I saw some basic aspen candle holders on Etsy, and I knew they would be perfect for our reception. I showed the idea to Dad, and he took it from there. It was his idea to cut trunks in half vertically and lay them flat. I’ve suggested to Dad that he ought to open up his own little Etsy shop selling the candle holders! Maybe a nice side job when he retires. I also have to give major props to my florist and friend, Michael Ann Austin… I loved how creative she was with elements like the purple artichokes and the fiddlehead ferns. She opened my eyes to just how expansive the world of flowers is! I design stationery, so it was basically my opportunity to show off. I spent a weekend holed up in my studio illustrating all the elements, but it took me weeks to finalize it all. The invitation cards were printed on aspen wood. There’s a great company, Cards of Wood, that did this for me. I highly recommend them. The rest of the stationery was printed on bamboo, a very eco-friendly material to print on because bamboo grows like crazy. Hands down, the shots of Ryan and I posing in front of the red door are my favorite photos. There are eight or nine of them, I think, and we love all of them! Aaron gave us a pair of sunglasses and basically just told us to vogue. We did it separately, so I had no idea how Ryan’s would come out, and vice versa. HILARIOUS. And awesome. Two of those are getting printed and hung side-by-side in our house. Big, like concert posters. The string lights were a slight obsession of mine. If there was any area I became bridezilla over, it was the lights. Amazing how expensive it can be to string those little guys up! I wanted to create a liveable space outside and not just have guests feel like they were sitting on a patio…The lights did the trick, and connected the indoor dancing to the outside patio. Plus, the photos with the string lights came out amazing! I love the pictures of us twirling around in the forest… little do people know we were a couple drinks in at that point, and spinning around without eating a tree trunk was not easy! I’m honestly so thrilled with our wedding pictures. 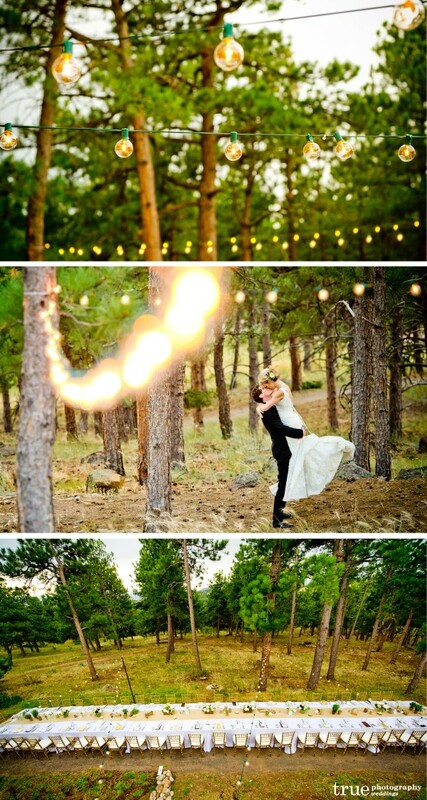 I want to have another reason to hire True Photography… maybe an anniversary session? Thirtieth birthday party? 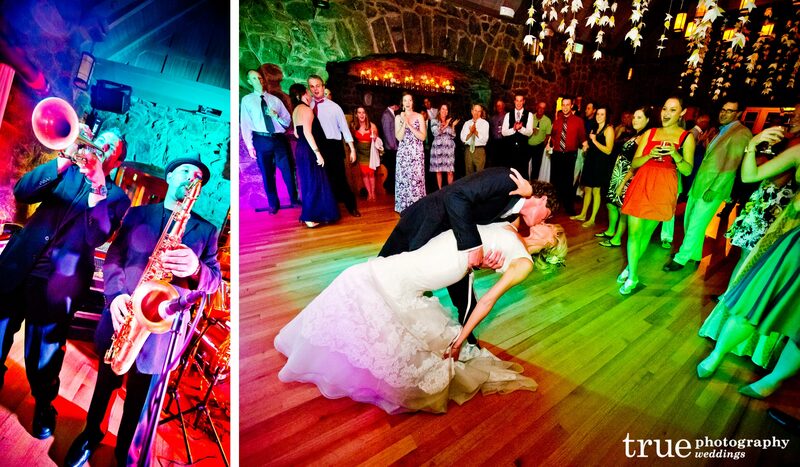 If my actual life was as colorful as our wedding pictures, it would be a dream! 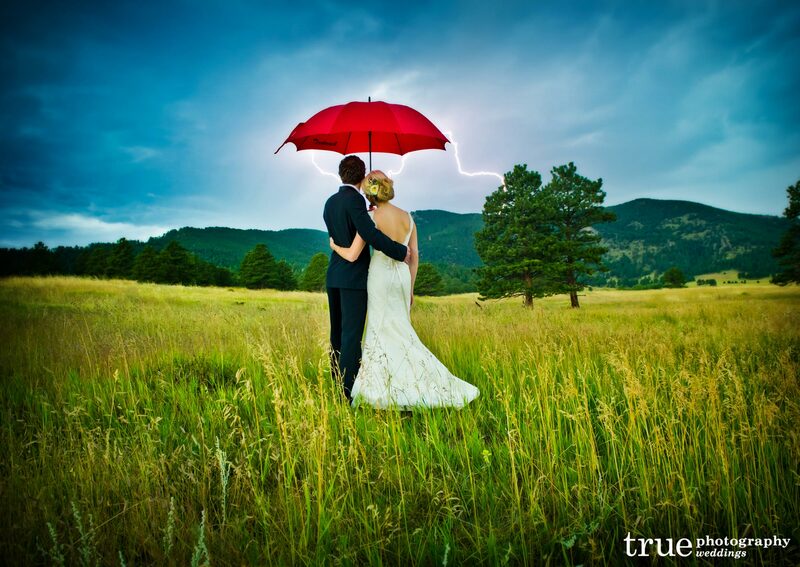 Share the post "Destination Wedding in the Colorado Mountains"
For over fifteen years, True Photography has been recognized as one of the nation's top photography studios, with multiple consecutive 'Best Of' awards and consistent five-star reviews across the web. Specialties include weddings, portraits, celebrities, events and destination weddings. True Photography is known for producing innovative, stylish, and timeless imagery, and each photographer is hand selected for their creativity, technical knowledge, and charismatic personality. Featured on The Huffington Post, Martha Stewart Weddings, People Magazine, ESPN Magazine, E! Online and The CW Network. Receive posts just like this one, delivered right to your email address!